The overall number of people employed in the North Sea Oil & Gas industry will increase this year according to a new workforce report from industry-body Oil & Gas UK. The report forecasts that direct, indirect and induced employment will increase to 282,700, up from 280,000 in 2017. Total employment supported by the industry fell by 14 percent in 2017- below previous estimates of 302,000 as the downturn continued to be felt by the supply chain. The average age of offshore workers in 2017 was 42.2 compared with 42.7 in 2016. The number of offshore workers under the age of 30 has increased by over 20 percent since 2016. Women represented three percent of the offshore workforce, and 23 percent for the industry overall. Almost 50,000 people travelled offshore in 2017, 6 percent down on the previous year. 14 percent of those who travelled offshore in 2017 were from outside the UK, half of those coming from other EU countries. The west of Shetland area has seen the largest growth in employment with workers in the area more than doubling since 2014 thanks to several major developments. The continued pressure on drilling is reflected in the offshore population figures, which have seen a 35 percent decline in drilling roles since 2014. 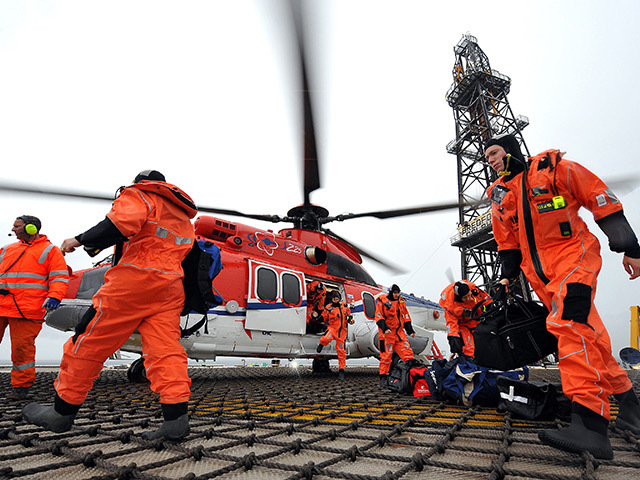 Overall, this report seems to herald good news for the North Sea job market. At Fircroft we work with all of the region’s major operators, providing a wide range of recruitment and workforce solutions. Want to find out how we can help your business thrive? Contact us today for a free, no obligation consultation. Since 1970, Fircroft has been recruiting technical and engineering professionals for the world’s biggest petrochemical and chemical projects. View all our vacancies here.